The BritBox July calendar includes the U.S. premieres of five British productions, including the crime thriller From Darkness and NW, the 2017 movie based on Zadie Smith’s novel. Readers of my site know how much I love British TV. Starting this month, I’ll post a calendar of what’s coming to BritBox, the streaming service from BBC and ITV. I also will continue my monthly Acorn TV calendar. Although the streaming services, along with Hulu and Netflix, offer some of the same programs, both Acorn TV and BritBox have shows American fans will see nowhere else. Why choose one when I can share both with you (and watch both myself)? The BritBox July calendar also includes two timely productions. Just a day before Christopher Nolan’s new big screen film “Dunkirk” debuts July 21, BritBox offers the U.S. SVOD premiere of the 2004 docudrama about the 1940 military operation that is considered one of the greatest escapes of all time. It features a very young Benedict Cumberbatch. Also on July 8, two days before TNT debuts “Will,” its exciting take on young William Shakespeare, BritBox streams the series “Upstart Crow,” a comical look at the Bard before he was called that name. Check out the schedule and program descriptions below. BritBox is now available for $6.99 per month—after an introductory fee trial period—on responsive web, Apple TV, iPhone, iPad, and Android mobile phones and tablets, as well as Chromecast and Roku. Former Greater Manchester Police officer Claire Church’s peaceful existence in the Western Isles is shattered when four bodies linked to her previous investigations are unearthed. Anne-Marie Duff, Richard Rankin and Luke Newberry star. English Lord Brett Sinclair (Roger Moore) and Bronx-raised Danny Wilde (Tony Curtis) reluctantly join forces to right wrongs and to protect the innocent in this action-adventure comedy. Emily Watson stars as a Bristol vicar whose daughter is killed in the London 7/7 tube bombings. Based on a book of the same name. Comic actor David Mitchell (“Peep Show”) stars as William Shakespeare in this comedy set just as the Bard starts to make a name for himself. From Ben Elton, writer of “Blackadder” and “Young Ones.” Gemma Whelan (“Game of Thrones”) also stars. Lesley Manville (Hulu’s “Harlots”) stars in this sitcom about a woman attempting to move on with her life after the death of her husband. Honored with multiple 2017 BAFTA nominations, the film is based on the novel by acclaimed novelist Zadie Smith. 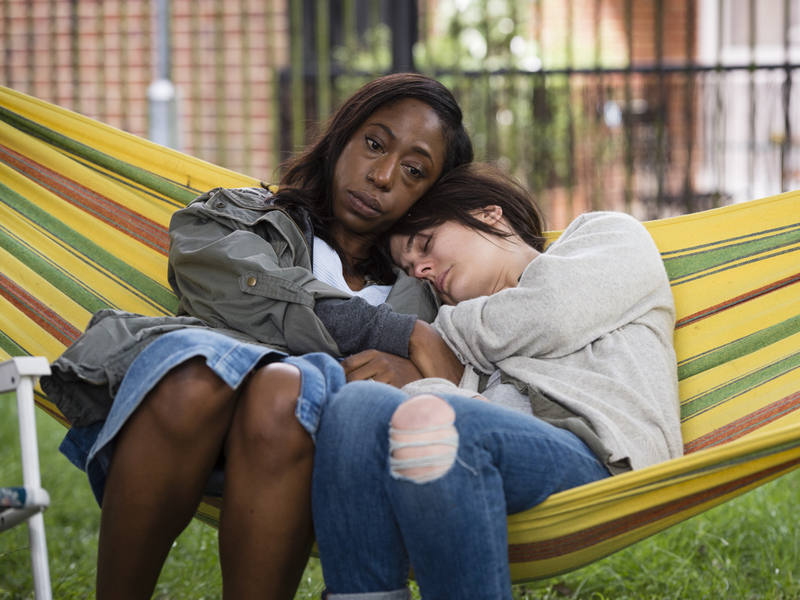 Natalie (Nikki Amuka-Bird) and Leah (Phoebe Fox) grew up together in North West London, but their lives have taken them in different directions until a crisis reunites them. Alan Davies stars as a magician often called in to solve puzzling murders. Season 1 was the most-watched series on BritBox in June. Alfresco: A comedy variety show that sp0ofs 1980s pop culture starring Laurie, Stephen Fry, Robbie Coltrane and Emma Thompson. From 1983, BritBox premiere. A Bit of Fry & Laurie: Laurie and longtime comedy partner Stephen Fry present comedy sketches in series that made them household names. The Take: Tom Hardy and Brian Cox star in this 2009 miniseries about London’s criminal underworld. Adapted from Martina Cole’s book. Gideon’s Daughter: Hardy costars with Bill Nighy and Miranda Richardson in this 2005 TV movie about a family torn apart during the intense spring and summer of New Labour’s election victory and Princess Diana’s death. Stephen Poliakoff wrote and directed. The Young Ones: Hugh Laurie makes a special appearance in this comedy series about the crazy and sometimes surreal adventures of four very different students in Thatcher’s Britain. Oliver Twist: Hardy stars as career criminal Bill Sikes in this 2007 TV movie about the adventures of the iconic orphan in Victorian London. A scene from “Dunkirk,” the 2004 docudrama that will have its U.S. SVOD premiere on BritBox in July. In May 1940, the Nazis stormed across Europe, overwhelming Allied forces and forcing their evacuation from Dunkirk on the Belgian coast. This BBC docudrama, narrated by Timothy Dalton, offers unique perspectives using archive footage, maps, CGI and commentary. The program also features Benedict Cumberbatch in one of his earlier roles. The Trotter brothers (David Jason and Nicholas Lyndhurst) wheel and deal and try to scrape together a living while hoping to become millionaires in this popular comedy. A 1996 special holds the record as the most-watched comedy in the history of British television. For the first time, 60 episodes of the popular show’s seven seasons and 16 specials come to BritBox. From the creators of HBO’s “Getting On” comes this sitcom about love, dogs and the love of dogs. Nana V (Joanna Scanlon) and Naomi Singh (Vicki Pepperdine) navigate their headstrong dogs, impossible teenage kids and disappointing husbands on The Wirral in northwest England.